Manufacturer Of Rubber Fenders In India Based in Mumbai, Maharashtra, we are a distinguished Manufacturer and Supplier of Rubber Fenders. 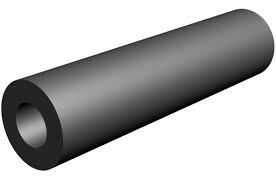 We are offering quality Cylindrical Rubber Fender and D Shaped Rubber Fender. These Rubber Fenders are fabricated with utmost precision from high-grade raw material and advance technology. Conforming to set industry standards, the fenders are quality approved by the authorities after stringent quality tests. We specialize in catering to the bulk orders of Rubber Fenders owing to our high production capacity. Safe and timely delivery of the same is assured with our ultramodern transit facilities.